Guide dog owners are regularly being turned away by businesses, such as taxis, shops and restaurants, according to new research. The charity, Guide Dogs, has published research which shows that, despite legal protection, people who own guide dogs and other assistance dogs are still regularly being turned away by a number of businesses because of concerns about their dogs. The research shows that nearly eight out of ten assistance dogs owners have at some point been turned away by a business because of their dog. 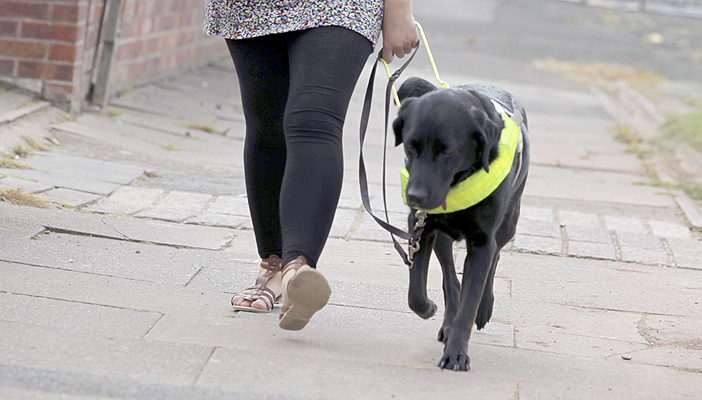 The five types of service provider most likely to turn away a guide dog owner are taxis, restaurants, newsagents or convenience stores, café and high street shops. James White, Campaigns Manager at Guide Dogs, says: “Guide dog owners, like all assistance dog owners, rely on their dogs to feel confident and supported. Being turned away by a business leaves people feeling angry, upset and embarrassed. It can rob people of their independence and can leave them unable to do the everyday activities such as travel by taxi, go to the local shops, or eat out with their friends or family. Mandatory disability awareness training for taxi and private hire vehicle drivers across the UK. Better enforcement of access refusal cases by relevant authorities, for example through mystery shoppers, and tougher sanctions against non-compliant drivers. Magistrates to issue an appropriate level of fine so as to act as a deterrent in cases where taxi drivers are found guilty of refusal to carry assistance dogs.